I tried to do a solo cross country today. But, the weather degraded unexpectedly and I ran into a low ceiling. I ended up going into a cloud. That got my attention pretty good. 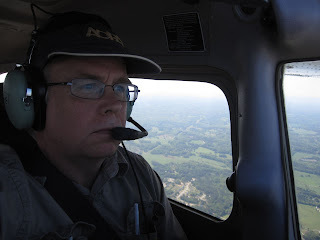 I diverted to a nearby airport, landed, did a bit of a read on the situation, and got my confidence back. I figured I would try it again at a lower altitude. When I was about 20 miles out from my destination the weather at the destination called for "Clear to 1200" (not enough). I decided to do a 180 and go back to LZU. 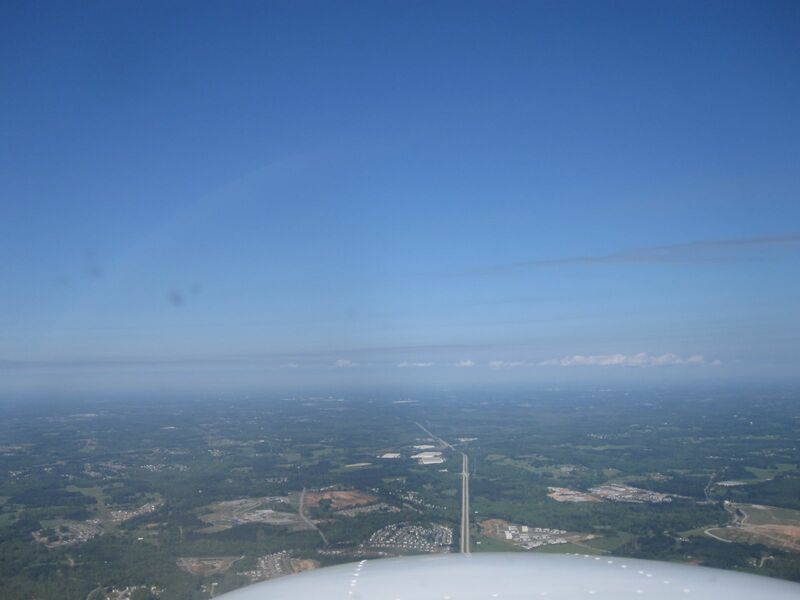 Clouds can be very difficult to see when you are ascending into a haze. The density of the haze is especially difficult to distinguish when you are looking up. I still got some hours and some practical experience in "aeronautical decision making" (ADM) and used some good judgement (GJ) which is the opposite of poor judgement (PJ). I still had time to take the self portrait. It is a special place alone in a plane. I got to try out my new iPad app that has charts with an overlaid GPS position and all sorts of other features. Believe it or not the iPad and the app are FAA approved. Commercial airlines use the iPad and aviation apps. It is certainly easier than using paper charts when you get to the edge of a chart. However, I found it hard to see the screen when flying into the sun. I put an offer in on a house in Duluth. Wish me luck. 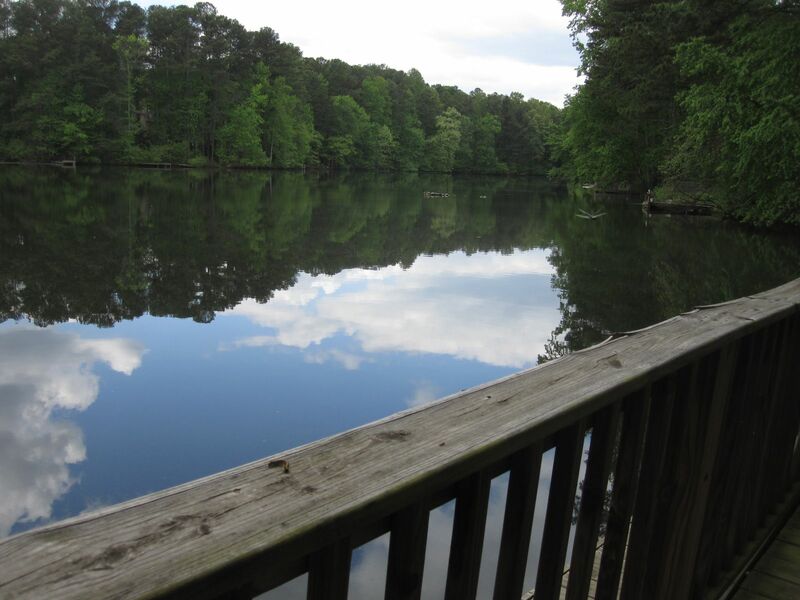 It's on a lake. I am headed to Brazil Easter evening. This has been a long stretch in Duluth GA, 4 weeks, it will be 5 weeks before I leave for South America this weekend. I am looking for houses again/still. It is a bit overwhelming. But, I am closer to zeroing in on exactly what I want and what makes sense. Here are two pics about one of the most talked about characteristics in the Atlanta area, traffic. 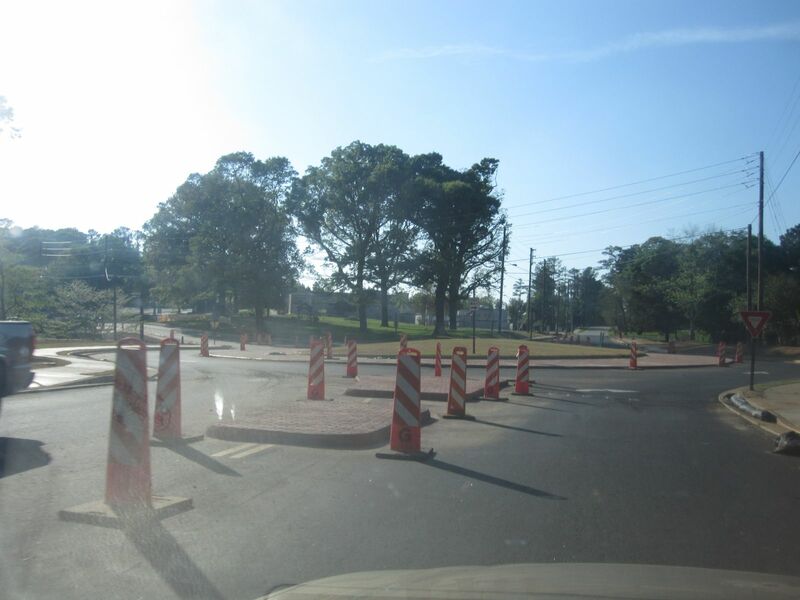 The new roundabout is really a revolution near downtown Duluth. It is very anti-Atlanta thinking. Roundabouts or what we used to call "traffic circles" years ago are a great way to keep traffic moving. The car in the pic is somewhat typical. 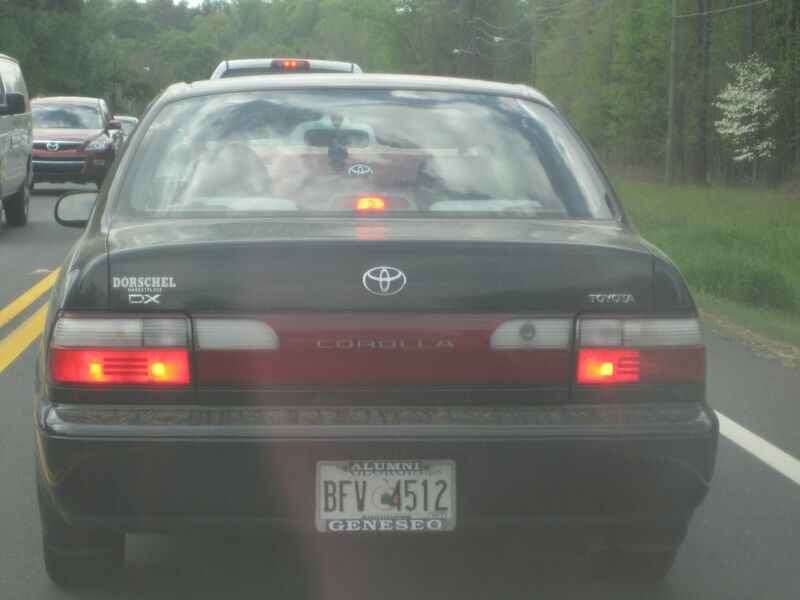 You see Georgia plates with a Dorschel dealer sticker from Rochester NY and a SUNY Geneseo, NY license plate frame. NY State isn't bad, really even in the winter (well that is a stretch some days), but bring your own job. Atlanta is nice. There is a lot to do. You can get anything here and you are close to the country if not in it.